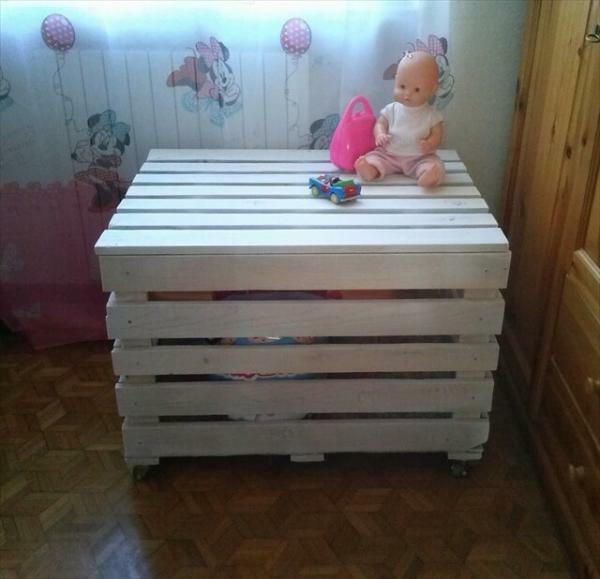 I am super excited today about sharing my pallet bed idea which is basically specially designed for toddler and is hand crafted. 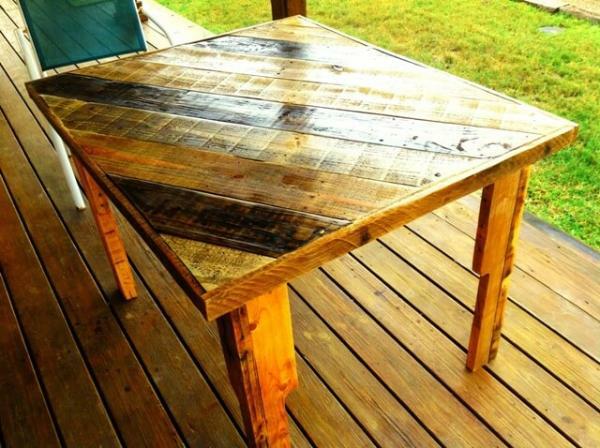 I have shared many of my pallet wood projects on different blogs and DIY websites. 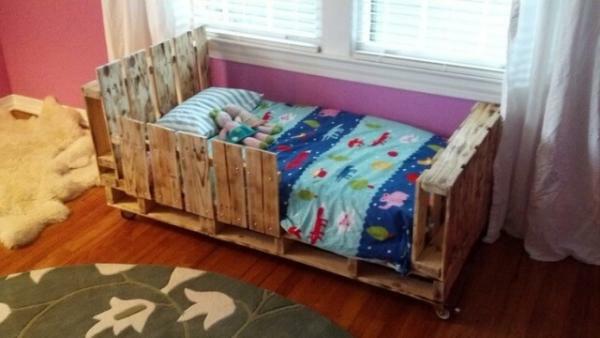 I thought to construct a pallet bed for toddler to give it as a present to my friend who is having a kid so this present was the most unique one. 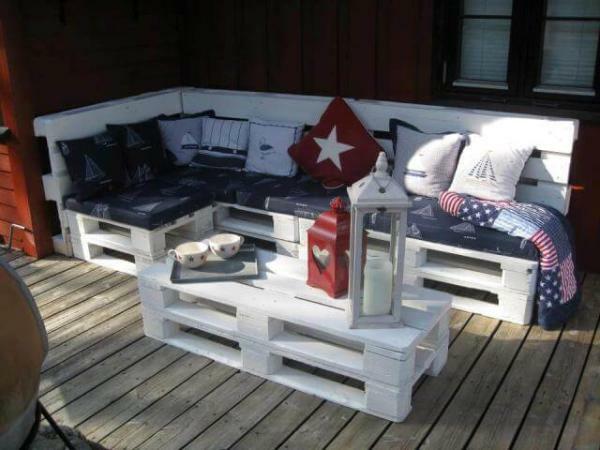 It was not really a difficult pallet project but the most interesting thing about this project is that it is all wood and hand crafted. 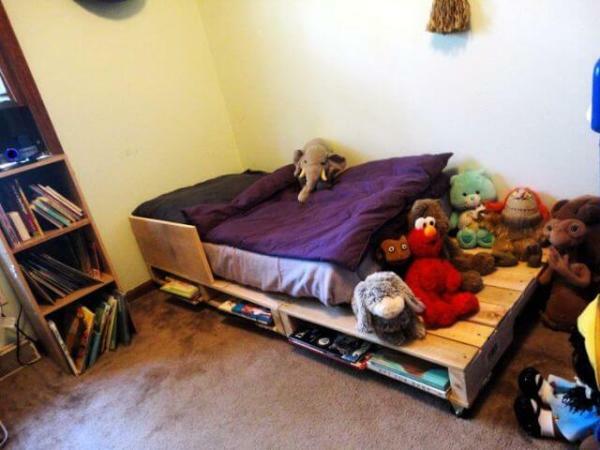 As you know we need a bed for a toddler so the pallets that are to be used must be of good quality and it should be pest free. 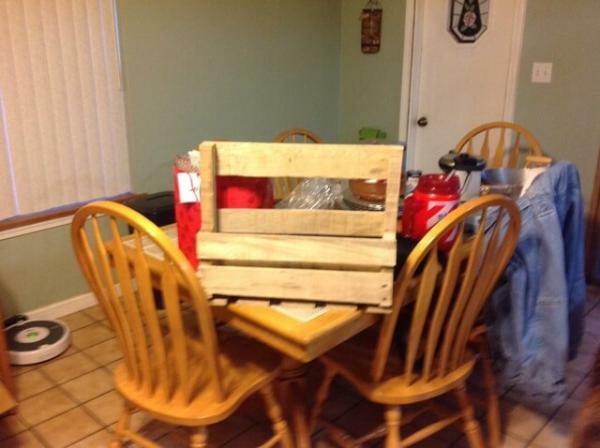 It also needs to be heavily sanded to ensure that all the splinters have been removed; it must also be ensured that the pallet is not being treated chemically as it will be used in making a pallet bed for toddler. 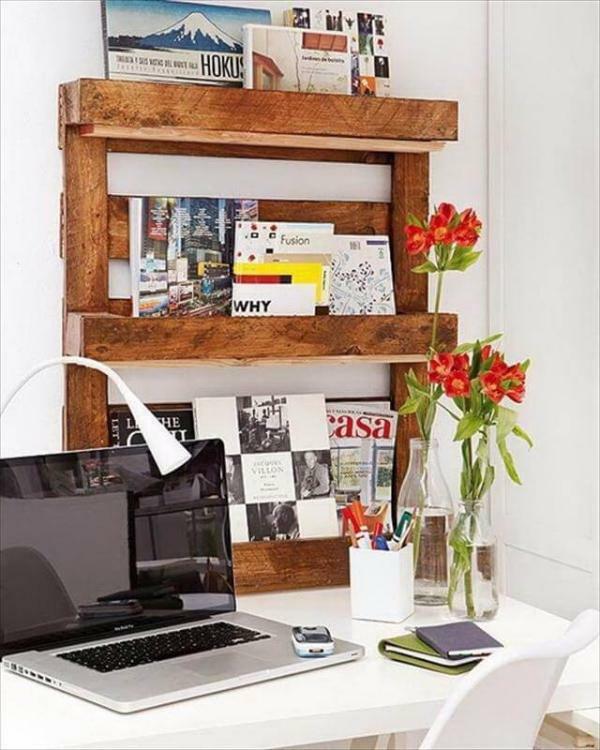 You need to have some pallet boards that must be cut into equal length. 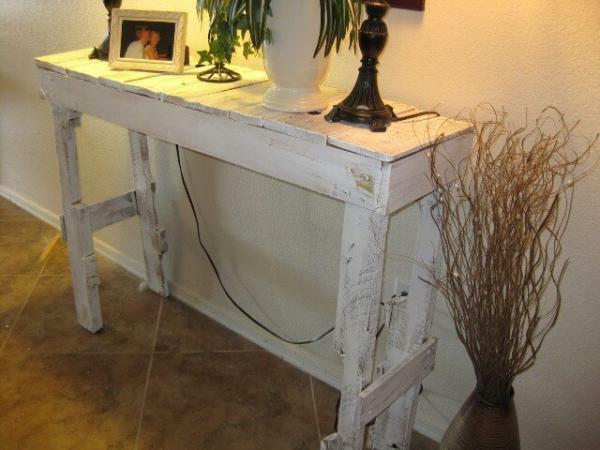 You will also be requiring some nails and 4-3 locking casters and bolts and nuts for the caster. 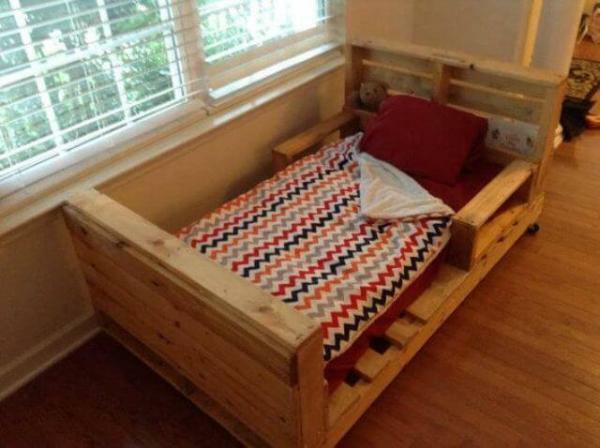 Rest you can make the bed keeping in view the size of the bed. 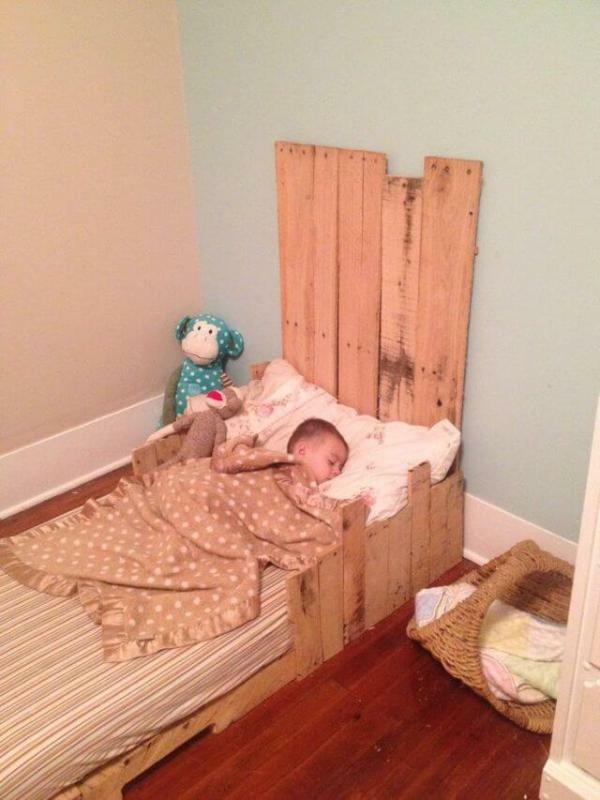 Toddler bed made by using old pallets wood. 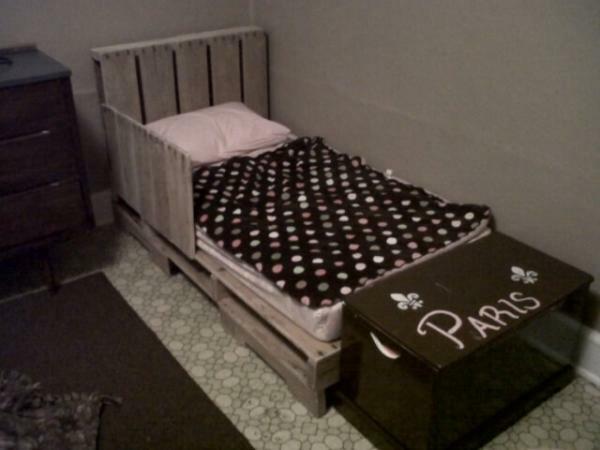 DIY Pallet Toddler Bed, salvaged or old pallets, sanded and finished with blow torch and ready for your kids. 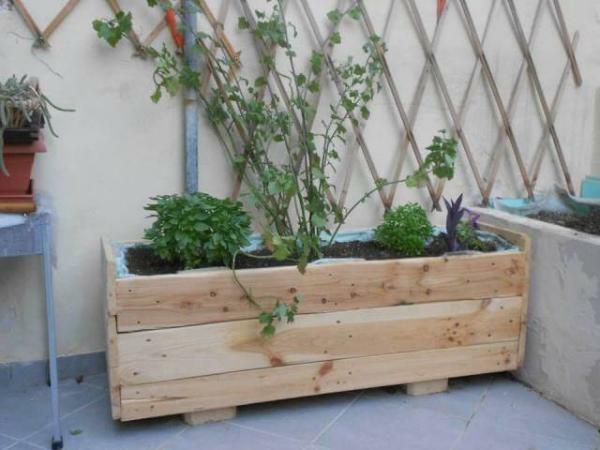 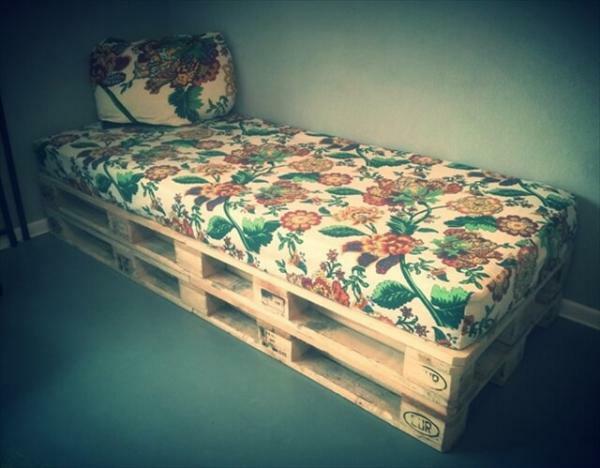 That’s very nice diy pallet bed! 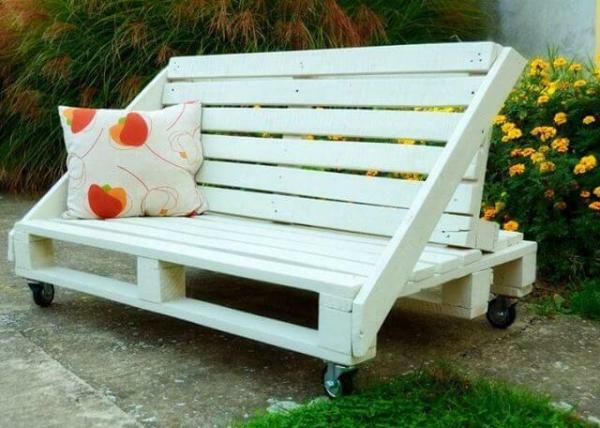 I think I’m gonna do something like for my son and paint it with beautiful color. 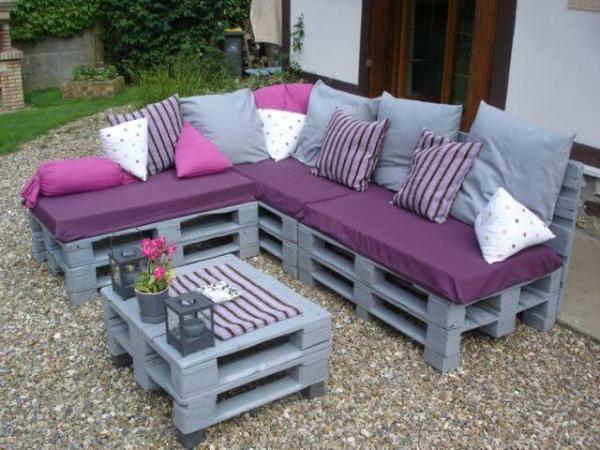 My favorite pallet chocolate pallet bed.